Siding. Vinyl or insulated siding can give your house the facelift it needs to look brand new. Both options of our Durham siding are extremely durable, meaning that once you make the change, you won’t have to worry about it becoming weathered. Patios and decks. When the weather is nice, there’s probably no where else you’d rather be than outside. 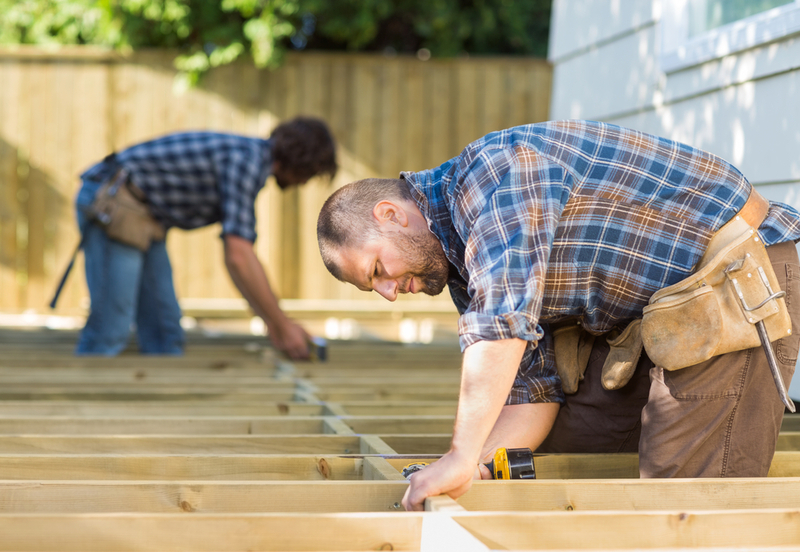 By adding a patio or deck to your Durham home improvement project, you can still enjoy a beautiful day while still getting some indoor comforts. A patio or deck can add that extra “room” to your house during the warmer months or year-round, if you chose to enclose it. New front doors. Your front door is one of the first things guests will see when walking onto your property and, if it looks unkempt, it can detract from the value (and overall perception) of your home. Installing a new front door will freshen up your curb appeal while adding a pop of color to the front of your house. Get Started On Your Next Durham Home Renovation Project with Gerald Jones Company! You don’t have to tackle your next home remodeling project all on your own – Gerald Jones is here for you! Our Durham home improvement company has been in the business for 60 years and is family owned and operated. That means we know how to freshen up your home and increase its worth without emptying your wallet. From storm doors to custom deck plans to helping you choose siding options, we’re a one-stop shop for all of the home improvement designs you’ve been wanting. Call Gerald Jones today at (919) 286-1700 to make those home remodeling dreams a reality. This entry was written by geraldjones, posted on March 19, 2015 at 9:32 am, filed under Uncategorized. Bookmark the permalink. Follow any comments here with the RSS feed for this post. Both comments and trackbacks are currently closed.